Point blank: Your sales team needs to start asking better questions. Far too many salespeople default to old stand-bys like “What color are you thinking about?” Or “Are you looking for a car with a sunroof?” Most customers have no idea what specific features they want; they’re too busy trying to figure out how what car is actually going to work for them on a deeper level. Asking these mundane questions just increases the distance and the mistrust between your salespeople and your customers. Instead they need to be asking deep, probing questions that reveal the customer’s real needs. Is today your first day shopping? How long have you been looking around? What’s kept you from buying a car until now? What don’t you like about your current car? Are you shopping for a car for yourself or for someone else? How will you be using this vehicle? Is it more for work or for personal use? Will this be a family vehicle? Do you have any kids? How will buying a car right now make your life easier? What are you hoping to find in a car? 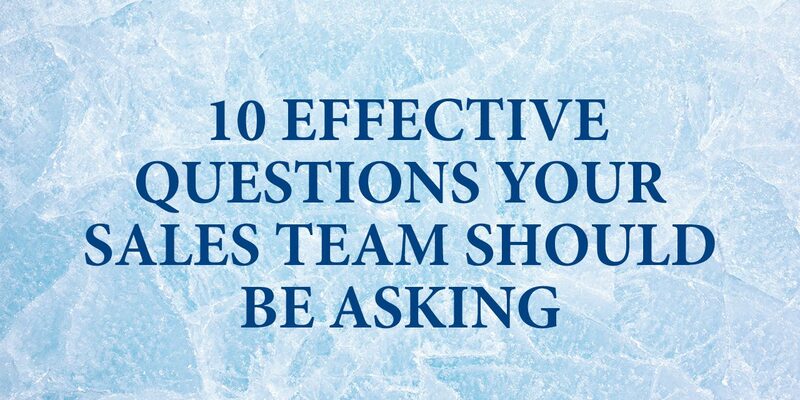 These questions will help your team break the ice with their customers and start building meaningful relationships beyond just pushing them to a sale. For more tips and tricks to build better relationships with your customers, check out our new EBook Break The Ice With A Nicer, Newer Customer: 5 Ways To Attract More Customers Without Spending More On Advertising. You can download it for FREE right now. Just click here to get your FREE copy.